The Rhein-Mosel Bus line 610 (Airport Shuttle) provides cheap transportation services to Flughafen Frankfurt-Hahn (HHN) from Koblenz via Kastellaun and Emmelshausen. The bus is no longer operated by Bohr and currently no bus goes through to Cologne but trains are frequent from Koblenz. The Rhein-Mosel Bus line 610 provides an airport shuttle bus service six times per day from Flughafen Frankfurt-Hahn Airport to Koblenz Hauptbahnhof. The buses are no longer operated by Bohr and not longer continue to Cologne (Köln). En route, these airport shuttle buses also stop en route at Kastellaun and Emmelshausen. 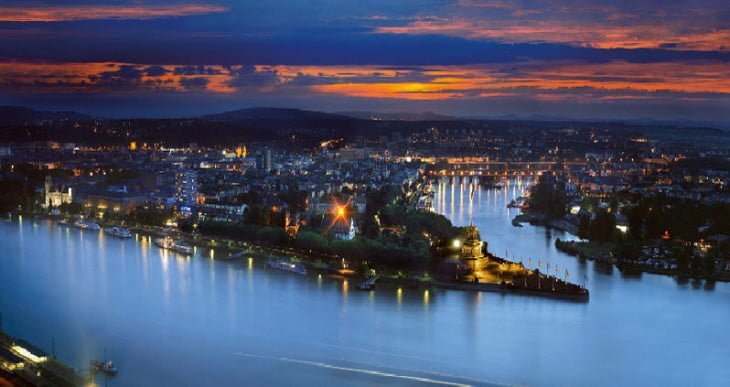 These buses offer the cheapest and easiest public transportation from Frankfurt-Hahn Airport to Koblenz, a city with great railway links to other towns in the Rhine Valley including Bonn and Cologne. Taxis and private airport shuttle services from Frankfurt-Hahn Airport are fairly expensive. For small groups traveling to destinations hard to reach by public transportation such airport shuttles may be of interest but compare prices and book ahead. Taxi2Airport and Suntransfers give online quotations for private airport transfers without first requiring personal details or flight numbers. The DB Rhein-Mosel Bus service 610 provides up to six buses per day between Koblenz and Frankfurt Hahn Airport. These buses operate as regional bus line 610 or as Airport Shuttle Koblenz Hauptbahnhof – Frankfurt-Hahn Airport. The Airport Shuttle bus takes around 70 minutes from Koblenz Hauptbahnhof (Main Train Station, Stop H) to Frankfurt-Hahn and en route usually stops in Kastellaun (Marktplatz) and Emmelshausen (Bahnhof). The bus departs from Frankfurt-Hahn Airport bus stop 6. The first buses of the day arrive at Hahn Airport around 5 am and the last buses depart from the airport at 0:30 am. These buses operates according to the timetable, which adjust according to the season and flight schedules, and do not wait if flights are delayed. The bus fare from Frankfurt-Hahn Airport to Koblenz is €11.50 (€6.90 for children 6 to 14) or €18.80 for a day return. DB rail passes and tickets are generally not valid. Buy the tickets directly from the driver. Reservations are not possible for individuals but required for groups of more than 10. The Airport Shuttle buses stop in Koblenz at the Hauptbahnhof (Main Train Station). 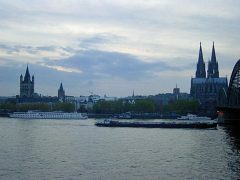 Very good rail (and KD riverboat) connections are available from Koblenz to towns on either side of the Rhine River as well as Mosel towns such as Cochem. The Hahn-Koblenz bus service is included on the German Railways online timetables. The Bohr Bus service between Hahn and Köln (Cologne) has been suspended since end October 2014. The easiest and cheapest way to travel from Frankfurt-Hahn Airport to Cologne (Köln) is by bus to Koblenz and then by train to Cologne. Due to the gaps in the bus schedule to Koblenz, it may sometimes be better to travel via Mainz or even Frankfurt but the train tickets from either city will be more expensive – see German Railways timetable for Hahn to Cologne / Cologne to Hahn schedules. Flying via Cologne-Bonn Airport is a much better option. Transportation to Frankfurt-Hahn Airport for bus services from other cities. Flixbus – Germany’s largest operator of intercity bus services.